The Congress has hit back with allegations of the BJP waging a vendetta against it and claims that Justice Dhingra compromised his position, nullifying the report's findings. Fifteen and a half months after it was constituted, the one man Justice S.N. Dhingra Commission of Inquiry that probed nearly 250 land deals struck by the Bhupinder Singh Hooda government in Haryana – including one involving Robert Vadra, the son-in-law of Congress president Sonia Gandhi – submitted its report to Haryana’s chief minister Manohar Lal Khattar on Wednesday. In his report, Justice Dhingra also noted that he had found the conduct of Hooda’s conduct during the probe to be“contrary to the law”. Hooda ignored two orders to appear before the commission, saying he wanted a probe by the Central Bureau of Investigation (CBI) instead. When the commission was first constituted, Hooda said that its formation was “contrary to [the] established rules and norms, without due cabinet approval and prompted by malice and political considerations” and he urged the Haryana governor “to revoke the Constitution of the Commission of Enquiry”. On Wednesday, Hooda maintained that would only comment on the report after it is made public. But, he again hastened to add that the constitution of the Commission was motivated by political considerations and vendettas. BJP spokesperson Jawahar Yadav, however, insisted that the constitution of the panel was not motivated by a political agenda and it was only formed to arrive at the truth of the matter. “There is no question of vendetta. The panel has only investigated if some wrong was committed. If that indeed was the case, the guilty would be punished; but no harm would come to the innocent,” he said. The Hooda government was charged with deliberately favouring and monetarily helping Vadra, by granting him a license to develop commercial properties on a 3.5-acre plot in Sector 83 of Gurgaon in 2008. 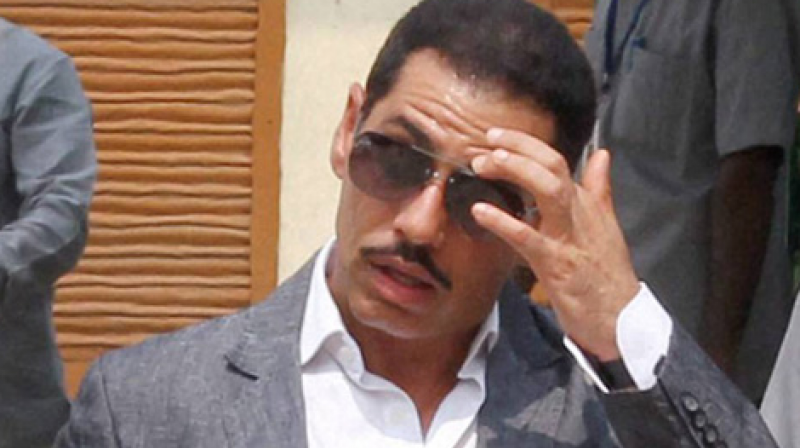 The government sold the plot to Vadra for just Rs 7.5 crores whereas its market price was much higher and so Vadra was able to sell the property to India’s largest real estate developer, Delhi Land and Finance (DLF) for Rs 58 crores, just three months after buying it at a heavy discount. The Comptroller and Auditor General had also noted that Vadra’s firm, Skylight Hospitality, did not prove its financial adequacy before it was granted the licence. The Haryana government issued a notification on the constitution of the Justice S.N. Dhingra Commission of Inquiry on May 14, 2015. The notification stated that the commission would probe issues concerning “the grant of licence(s) for developing commercial colonies by the Department of Town and Country Planning, Government of Haryana to some entities in Sector 83,Gurgaon.” The panel was also tasked with investigating the property’s subsequent transfer or disposal, allegations of private enrichment, the eligibility of beneficiaries under the rules and related matters. At the time, the Haryana government stated that issues concerning the public importance of such licenses and the alleged illegalities of the process had been brought to its notice. Though it had granted the commission a maximum period of six months, from its first sitting till the submission of its final report, the term was extended and the report was delayed by nearly eight months. The commission was to probe a) the circumstances under which license(s) for development of commercial colonies were granted to some entities in sector 83, Gurgaon; b) whether the said entities were eligible for grant of licence(s) as per the applicable laws; c) whether the transfer of licences by the original licensee within a short period of time to other entities was violative of law; and whether the Town and Country Planning Department had contemplated the transactions that had taken place before or after the grant of license, particularly with reference to the loss of revenue to government. The panel was also directed to recommend measures, which may be adopted to take corrective steps, particularly in respect to the loss of revenue suffered by the public exchequer. Though initially restricted to Sector 83, Gurgaon, the scope of the Dhingra commission was expanded in August 250 to cover nearly 250 land deals involving the Hooda regime’s grant of licenses to colonisers and individuals in four Gurgaon villages. While chief minister Khattar did not comment on the contents of the report, these developments evoked a sharp response from the Congress, whose members alleged that the contents of the report had been leaked even before it was submitted and that the commission did not even listen to Vadra. A former minister in the Hooda government and now in-charge of communication for the All India Congress Committee, Randeep Singh Surjewala, claimed that “even before the report was submitted to government today, portions thereof were leaked to [the] press and aired on most television channels”, which reflected on the “intent and sinister conspiracy of Haryana government, top leadership of BJP and even the Commission itself”. “It clearly proves that [the commission’s] sole intent is to defame, conspire and malign, rather than adjudge the issues fairly,” he said. Surjewala claimed that “there is not even a whisper of favour, preferential treatment or violation of any rule/regulation/policy in the grant of licence for a small piece of 2.7 acres of land to Skylight Hospitality Private Limited of Shri Robert Vadra in Village Shikohpur, Sector-83, Gurgaon. Even the licence for this 2.7 acres of Skylight has not been renewed. Final permission for transfer of licence from Skylight to DLF has also not been granted till date.” So where did the question of any undue favour come up, he asked. The Congress leader reasoned that even Khattar’s government granted numerous licences under the same licensing policy in 2015 and 2016. “Does it mean that there should be an inquiry against Shri Manohar Lal Khattar and BJP government also?” he quipped. He also questioned the justification behind the constitution of the commission saying that the BJP government in Haryana has itself issued a policy, dated February 18, 2015 , liberally permitting changes in developers, the transfer of joint development rights and even the transfer of FSI i.e. Floor Space Index by labelling it a ‘tradable commodity’. Surjewala also insisted that the commission violated Sections 8B and Section 8C of The Commission of Inquiry Act, 1952 – that require that any person prejudicially affected by a commission’s findings must be granted a hearing – by summoning neither Vadra nor any officer of his company or even Hooda. “That being so, no adverse finding can be given against any person by the commission in accordance with law,” said the lawyer politician. 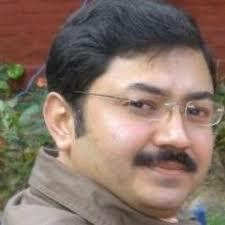 “Seeking favour[s] of this nature has compromised the neutrality of Justice Dhingra. Even the possibility of bias would disentitle him from heading the commission. This has rendered the report of the commission per se non est and unacceptable,” Surjewala added. Speaking to media persons in Kurukshetra, chief minister Khattar said the Dhingra Commission report was very exhaustive and the government will study it before deciding on a course of action.